Nothing says So Cal, like surfing and skateboarding. And this was part of the inspiration behind the Los Angeles based kids line “boy+girl“. The boys clothes speak to the surfer dude in every pint sized boy, while the girl’s line is free flowing with inspiration from European designs. 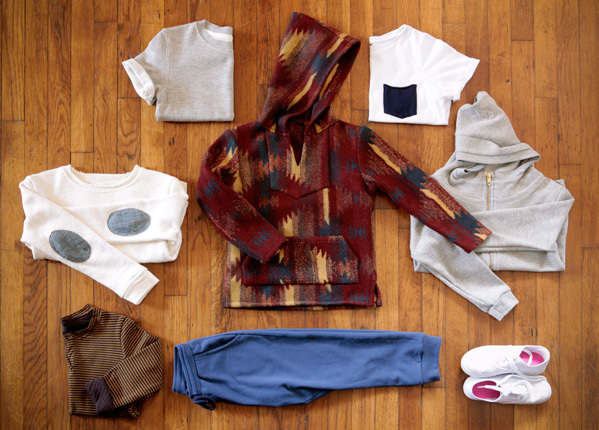 And mixed together, it’s a clean, fresh (yet durable) approach to kids wear. Delicately displayed under the style, “Bohemian luxury”, the clothes are the basic staples to every kids closet. Plus, you can easily mix and match them. A parent’s dream.